First Sergeant Sam Avery and the rest of K Co., 8th Mass. N.G. came home from the Mexican Border to a hero’s welcome in Boston during early November, 1916. 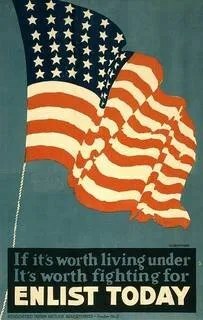 Unfortunately for some members of the 8th Infantry, the return proved bittersweet in finding they had lost their jobs or even their homes due to foreclosure during their extended absence while serving Commonwealth and country. 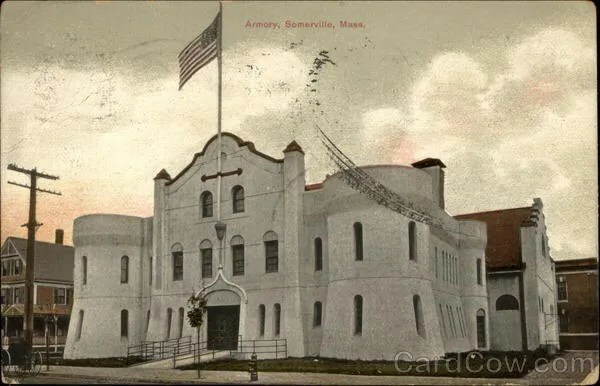 After a brief quarantine in the Armories to both help the men readjust to the cold climate and ensure they were not carrying any contagious diseases from the Border such as Typhus, Sam and the boys temporarily returned to civilian life. 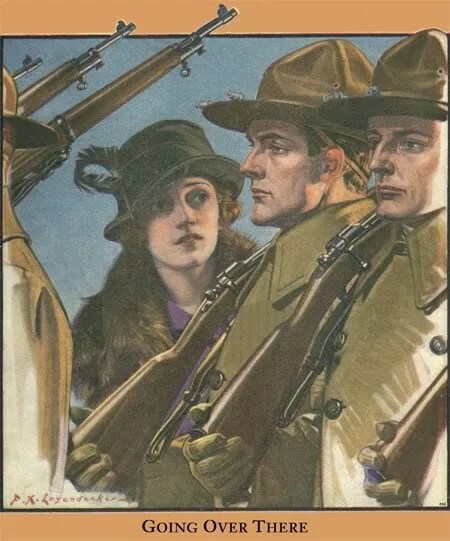 However, they knew it wouldn’t be for long: Forces were already in motion that would inevitably draw the United States into the Great War in Europe. 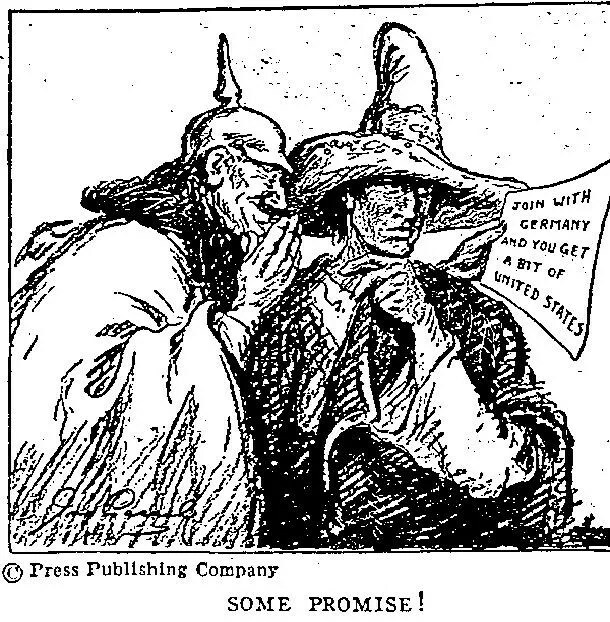 American public opinion had been gradually shifting towards support of the Allies throughout 1916, bolstered both by news of ongoing German atrocities in Europe and the continued instability in Mexico that was due in part to German interference. A highly organized domestic propaganda campaign executed by the Committee on Public Information heavily promoted the pro-war position through the use of public speeches by civic leaders, newsreels, photos, large-format posters, magazine and newspaper articles. 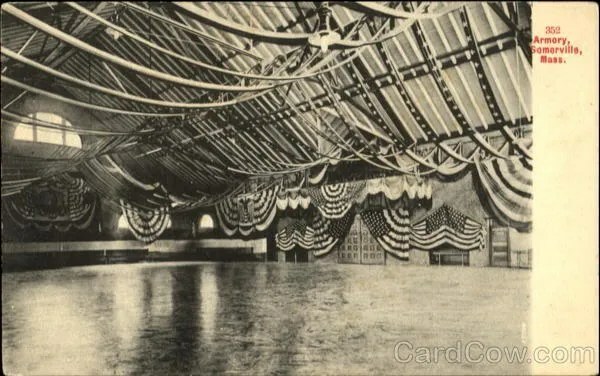 High-profile domestic acts of sabotage by German sympathizers in July, 1916 and January, 1917 which targeted industrial sections of New York City and Lyndhurst, New Jersey further angered patriotic Americans. When Germany unilaterally announced it would resume unrestricted submarine warfare at the end of January in 1917, most Americans considered it to be an unacceptable limitation on freedom of the seas. 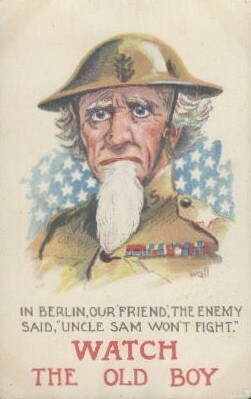 As vessels under the U.S. flag were sunk, diplomatic relations with Germany were severed. Then the Zimmermann Telegram was released by British intelligence in February, 1917 which absolutely shocked the American public. 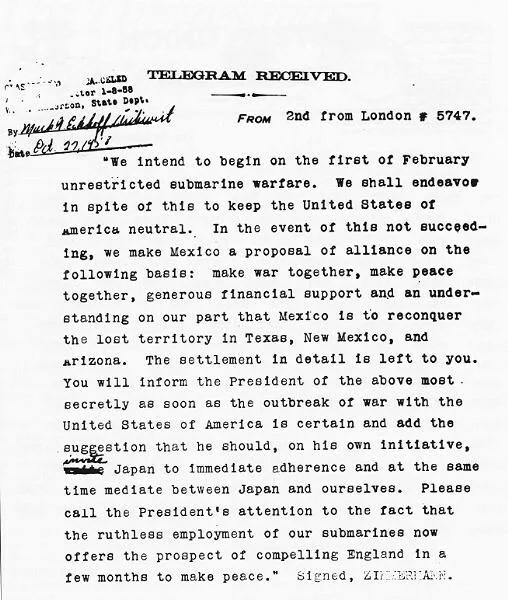 This encrypted communication was addressed by the German Foreign Minister Arthur Zimmermann to Germany’s Ambassador in Mexico and proposed a formal German-Mexican alliance against the United States. If the alliance was successful in defeating the U.S., Mexico would “win” back its lost territories of Texas, New Mexico and Arizona. While Venustiano Carranza declined the offer, Germany’s treachery against the United States was now personal for many Americans including those with active service South on the Border. The final impediment to U.S. involvement in the Great War was removed in March, 1917 with the abdication of Tsar Nicholas II of Russia as a result of the Bolshevik Revolution. This made the case that the Allies were now all democracies fighting for survival against autocratic forces of the old European imperial order. 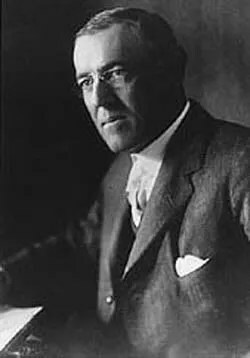 President Woodrow Wilson who had been recently reelected on the slogan “He Kept Us Out of War” now was finally willing to enter the war in Europe to “make the world safe for democracy.” War was declared by Congress on April 6, 1917. 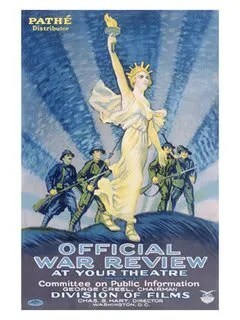 Congress passed the Selective Service Act on May 18, 1917 which required draft registration of all men aged 21 to 30. 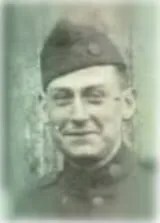 These draftees would eventually become known as the National Army in distinction from the Regular Army and the National Guard, both of which were composed of trained and experienced volunteers. As we shall see, Sam had very particular opinions about what he initially considered to be the limited quality of draftees vs. volunteers. 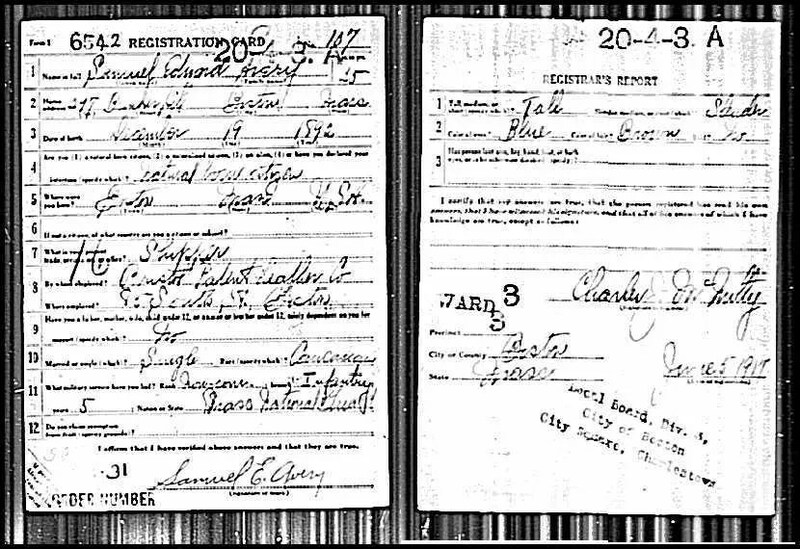 Although already serving in the National Guard, Sam complied with the Act and filled out his own draft registration card on June 5, 1917. General John J. Pershing was chosen by President Wilson to command the American Expeditionary Forces (AEF) in Europe and was in London with his staff by June 8, 1917. Read Soldier’s Mail during Watchful Waiting here. My mother was born in 1909 in Mississippi. About 1915 or 1916, her parents and their 9 children went to Roby, TX to join her uncle’s family, buy a farm, and grow cotton. Drought happened. By 1917 or 1918 they left TX and started their journey home to MS in a covered wagon. My mother would have been about 8 years old when they rode through the Houston area. 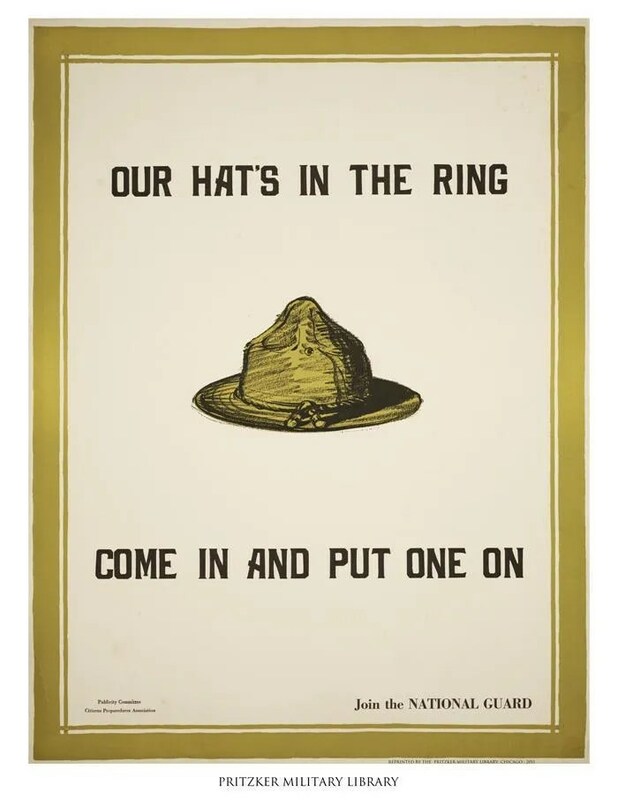 She remembered passing miles of encampments–soldiers preparing to go to fight in WWI. As a child, she was impressed and talked about that memory for the rest of her life. She died in 2001 at age 91. My question is this: Is there a record of these encampments, and where exactly were they located? She remembered a dirt road beside a fence behind which soldiers were training. Thank you and your readers for any information they can give. Thanks so much for visiting Soldier’s Mail and for your question. I would refer you to Geography of the Great War under “Great War Links.” Here there is a map which illustrates the U.S. military bases and training camps. There were a large number of installations in Texas, Louisiana, Arkansas and Mississippi. Depending on their route of travel, you can see by the map which locations your mother’s family might have passed. Of course, the perspective of a young girl needs to be taken into account.